1.1. How do I install Store Exporter Deluxe? 1.2. How do I manually install a Plugin update for Store Exporter Deluxe? 2.1. Can I drag-and-drop export fields to suit my export needs? 2.2. Can I tell Store Exporter Deluxe to create automatic exports every 24 hours? 2.3. Can I integrate Store Exporter Deluxe with [insert name] Back Office/Point of Sale system? 2.6. Need to ask something specific? How do I install Store Exporter Deluxe? See our dedicated troubleshooting pages on Where do I download my Plugin purchase from Visser Labs? and How do I install my WordPress Plugin purchased from Visser Labs?. 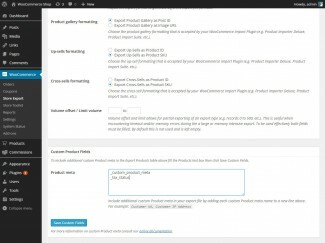 How do I manually install a Plugin update for Store Exporter Deluxe? You may be required to manually install a Plugin update where the automatic Plugin update engine is not supported within your WordPress site or if updating from a legacy version of Store Exporter Deluxe. See the screenshots in the above section for additional guidance. Can I drag-and-drop export fields to suit my export needs? Yes you can! 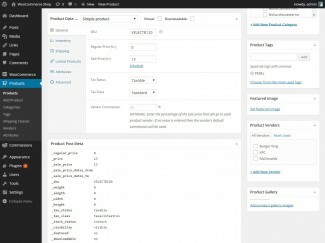 You can do this via the WooCommerce > Store Export > Quick Export screen as well as WooCommerce > Store Export > Export Templates section for all export types. For the Quick Export screen simply re-order the fields to match your needs and hit Export to save that sorting for future exports. For Export Templates simply re-order the fields and hit Publish/Save Changes. Don’t fret, have a look at our detailed troubleshooting guide, if your issue persists please open a Support ticket with us and we’ll be promptly in touch with you. For general Plugin queries about a feature create a new comment on this page, for detailed pre-sales queries get in touch via the Pre-sales page. See our dedicated documentation pages listing export supported Plugins in Store Exporter Deluxe and supported export fields in Store Exporter Deluxe. See our dedicated Scheduled Exports page for Store Exporter Deluxe. See our dedicated Manual CRON Exports page for Store Exporter Deluxe. Our custom meta support works by fetching the ‘meta key’ of a given Product/Order/Order Item/User/Subscription/Brand, etc., what this means is you will need to identify the meta key as it is stored in the WordPress database in order for it to be exported. Our free Store Toolkit Plugin adds meta boxes to the Add/Edit Product/Order/User/Brand/Category, etc. screens of your e-Commerce platform to make it easy to identify custom meta keys for exporting. Our Store Toolkit Plugin adds a new meta box displaying all of the Post meta keys assigned to a Product/Order, etc. 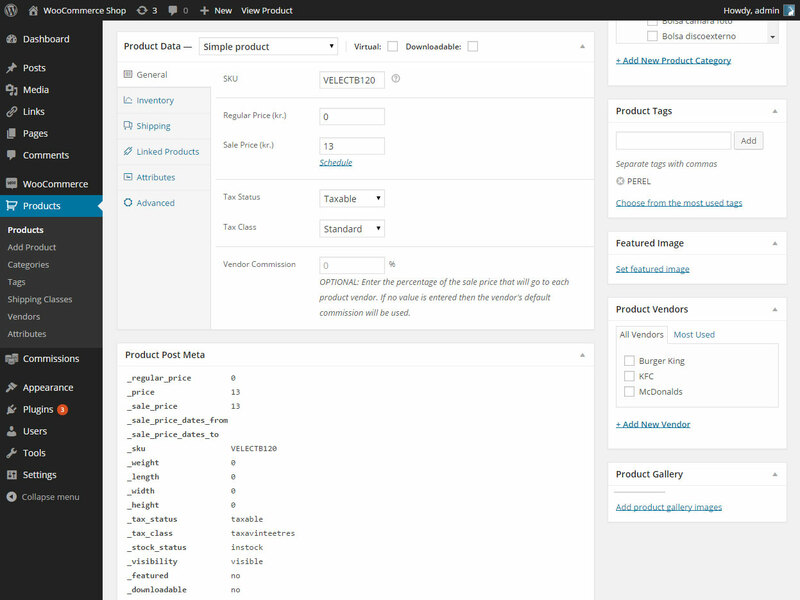 Exporting custom meta using WordPress Filters is a two step process, first you need to extend our default export fields list to include your new export field then populate the export results. This can be done using a minimum of two WordPress Filters available within Store Exporter Deluxe. In this example we’ll extend the Product export type with a new Product export field called ‘My Custom Field’ and a export field slug of ‘my_custom_field’. Now we can tell Store Exporter Deluxe where to look for the contents of the ‘my_custom_field’ export field slug, in our case the ‘_my_custom_field’ Product meta. As a general rule each export type has it’s own WordPress Filters available at the above stages – populating the export fields list and at export time – for more complex export types like Orders Filters may need to be assigned to each Order Items Formatting rule as an example. There are hundreds of WordPress Filters and Actions available within Store Exporter Deluxe to allow WordPress Theme and Plugin Developers to filter WP_Query calls, override Term Taxonomies and more to suit their clients expectations. Where we detect the WooCommerce Extra Product Options Plugin activated we automatically scan existing Orders for available Order export fields when you open the WooCommerce > Store Export > Quick Export screen. This process typically takes a moment and is not noticeable to Plugin users but for WooCommerce stores with 1000+ Orders or an exceptionally large number of EPO data linked to Orders this can take longer and/or require additional memory allocation. A notice is shown by default for new Store Exporter Deluxe users indicating that there may be a peak in memory usage during these scans. If the Quick Export screen is timing out or not displaying (known as a fatal PHP error or 500 Internal Server Error) then this functionality can be disabled by contacting Support. See our dedicated troubleshooting page for Store Exporter Deluxe.